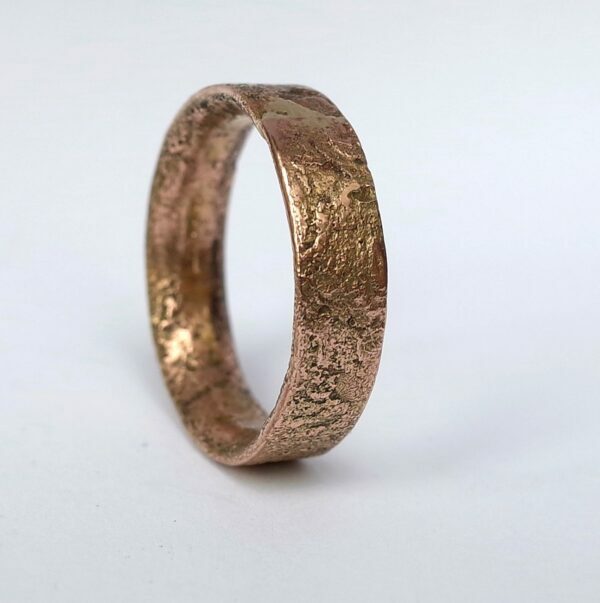 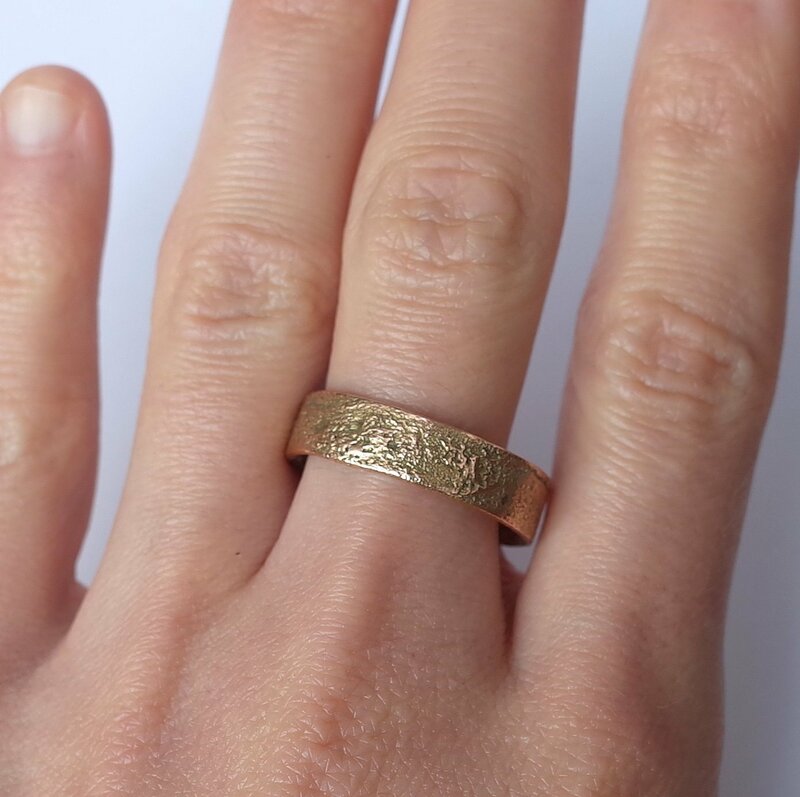 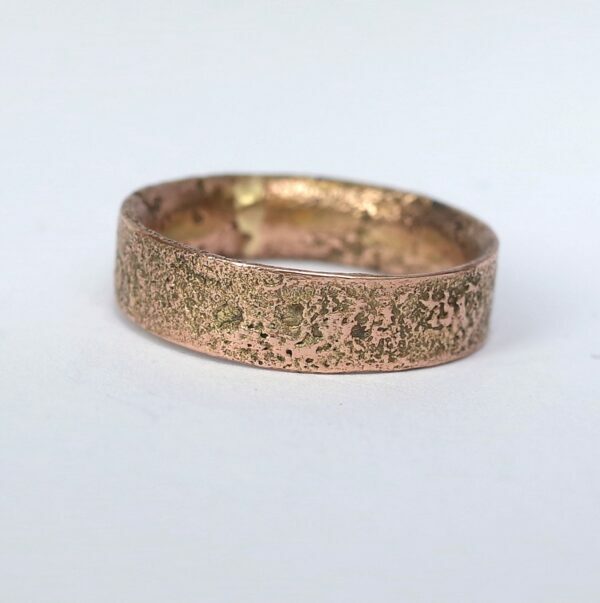 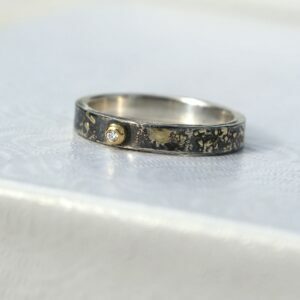 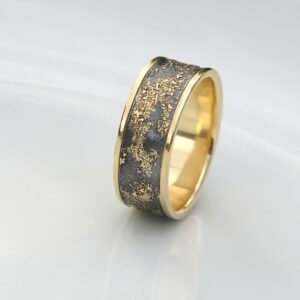 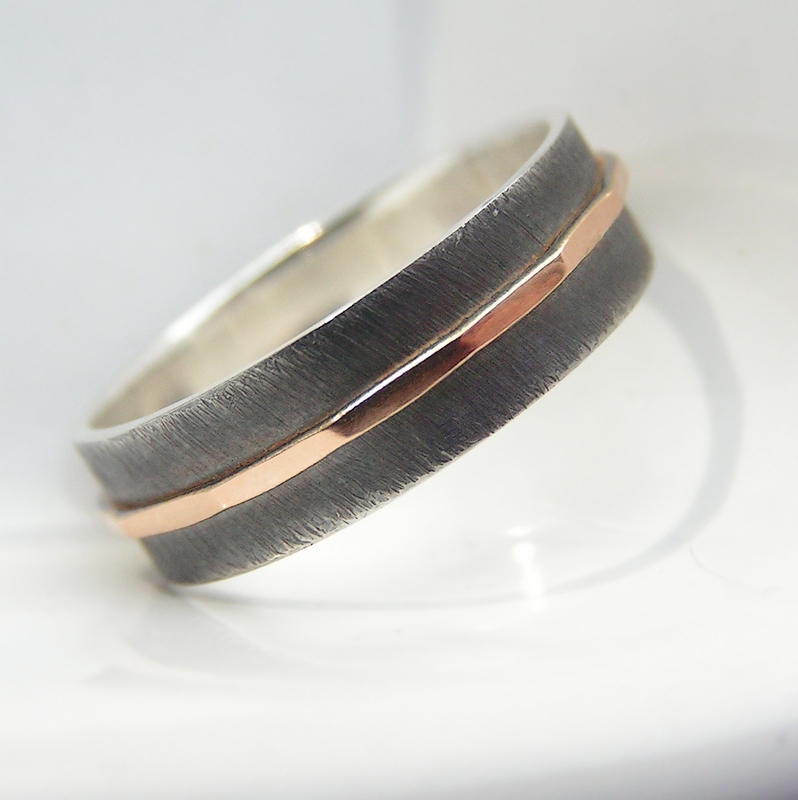 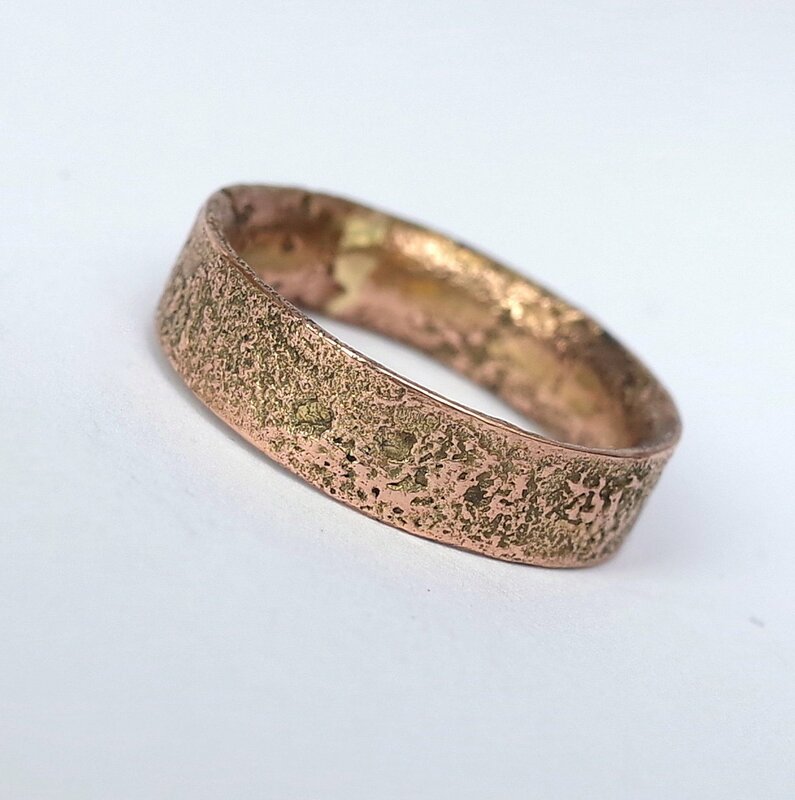 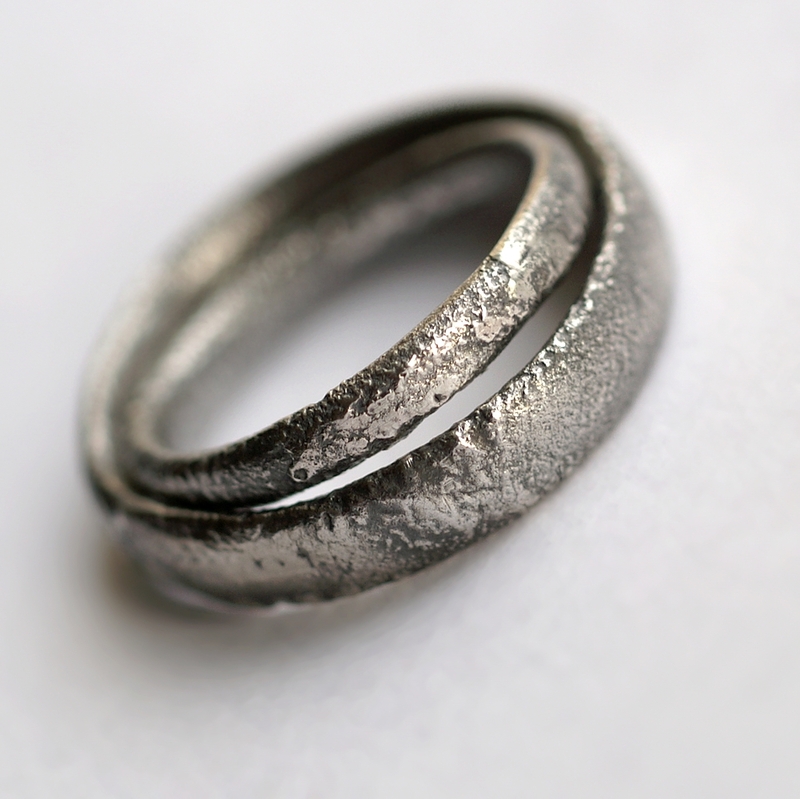 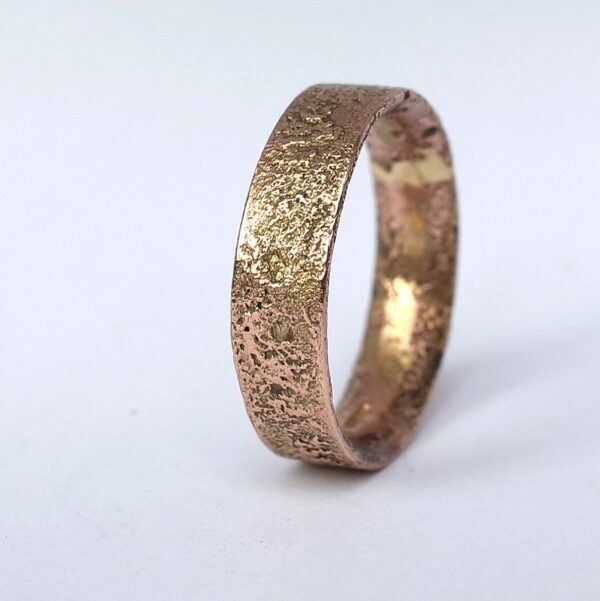 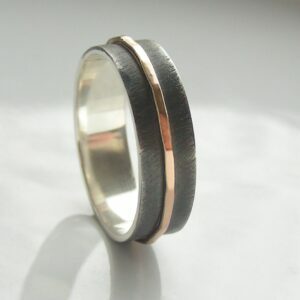 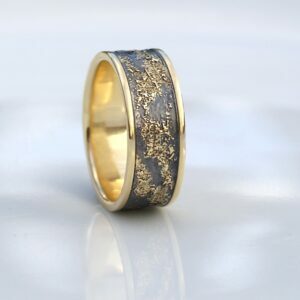 Really unique men’s wedding band or engagement ring in rustic style. This one of a kind ring is a result of a one-time experiment with melting the surface of gold after repeated time-consuming heat treatment. 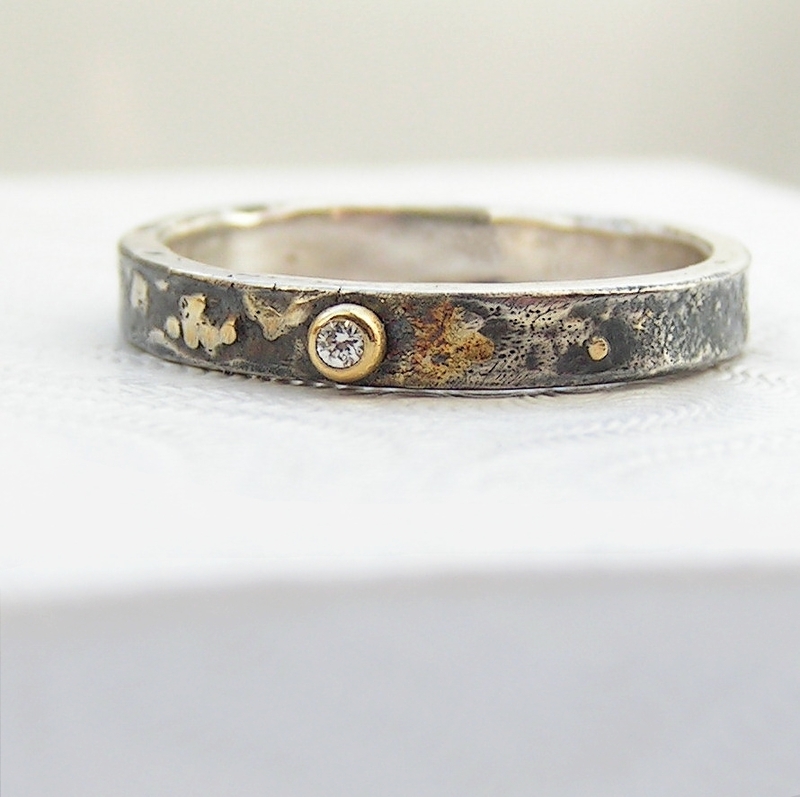 This has created a nice rustic texture which cannot be repeated. Because rose gold loses its colour when heated and then regains it partially when polished, the ring is a mix of a rose gold colour and various yellowish-rose shades. 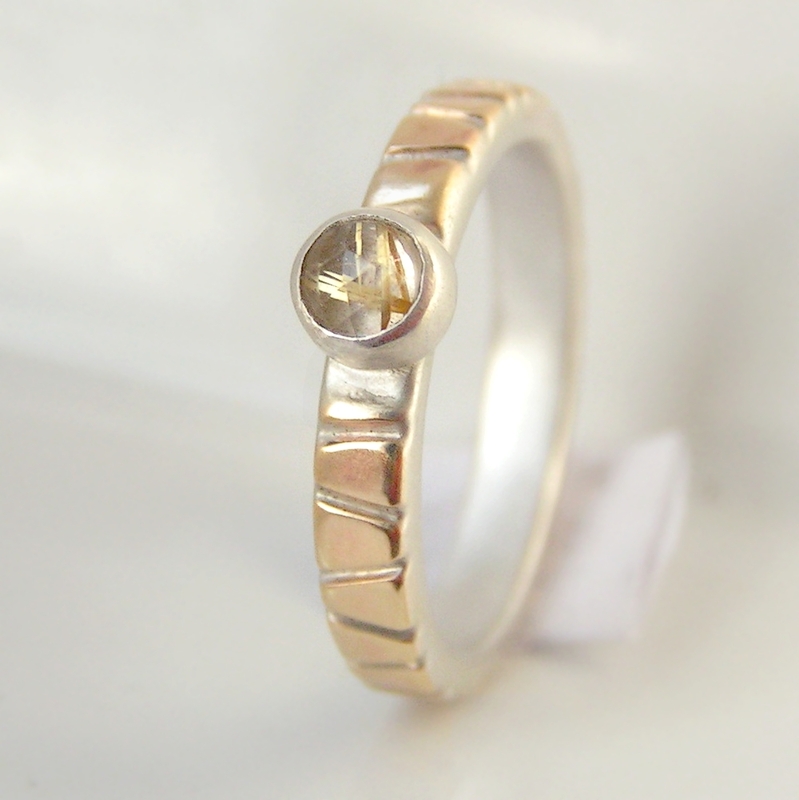 You will receive the pictured ring and it is available to be shipped in 1-2 days. 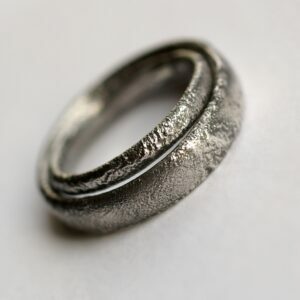 If you need the ring quickly, international express shipping is available. 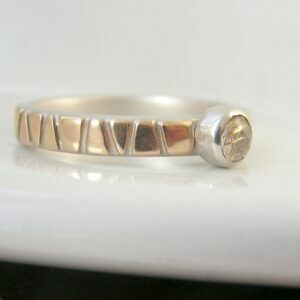 It bears a UK hallmark struck by London Assay Office.